Vis is the furthest off the mainland among inhabited Croatian islands. It is 45 km from the coast and 50 km from Split. On the other hand it is only 150 km to Italy. The location, combined with the fact that – as unique on the Dalmatian coast – Vis has its own sources of drinking water, have caused the island’s attractiveness to various rulers. Looking at the island’s 19th century history, it can be seen to how it was ruled by Austrians, Frenchs and Brits, and the Italians also fought for it. 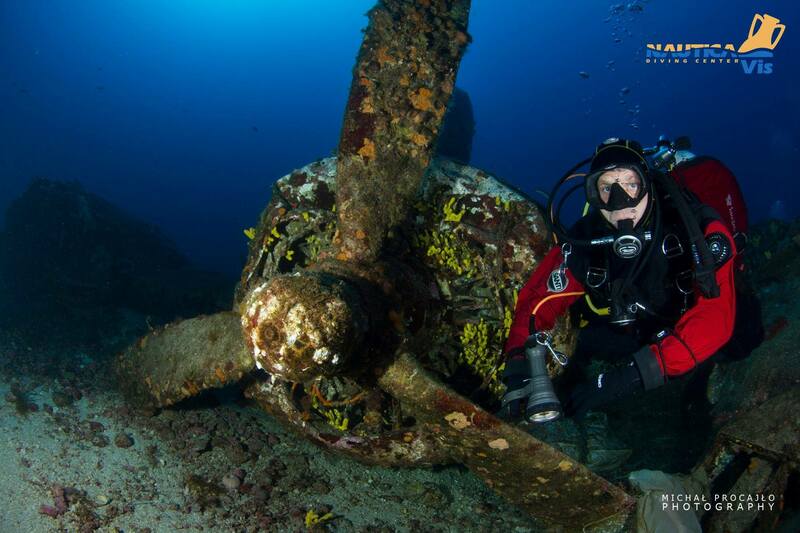 No less turbulent was the story of the island during World War II. In 1943, the Croatian and Serbian partisans were supported by the Allies in the fight against the Germans, which was dedicated to the maintenance of the Dalmatian islands. They lost Brač, Hvar and Korcula, but managed to keep Vis, Biševo and Sveti Andrija. Allied forces continued to support the guerrillas. 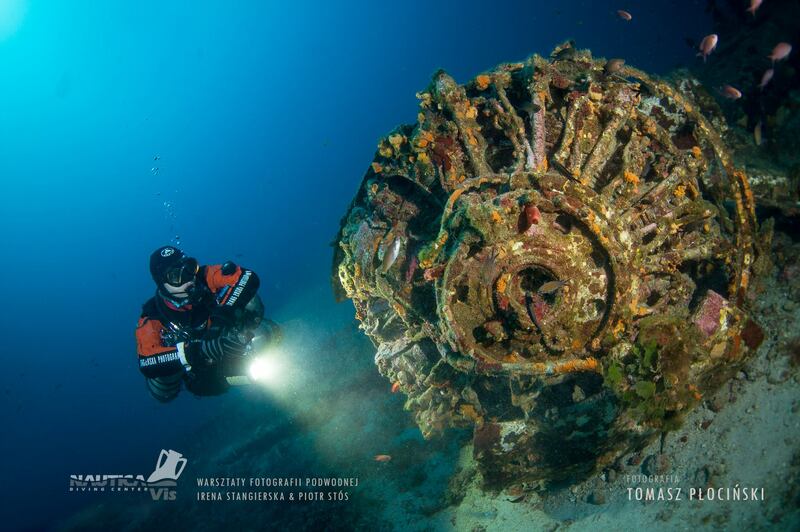 In 1944, about 1000 British soldiers were stationed on Vis. In the same year the hospital and the airport were built. The airport were used by the American Army stationed in Italy (15th Air Force) and British Army and partisans. On December 17, 1944, a bomber B-24 Liberator and others set off from base in Torretta towards the town of Odertal, near the Polish-German border. The plane was the last piece produced in the Douglas Factory in Tulsa, Oklahoma, and its built was paid by the factory workers and local residents, who gave it a nickname Tulsamerican. Over the Czech Republic, the formation was attacked by German division. 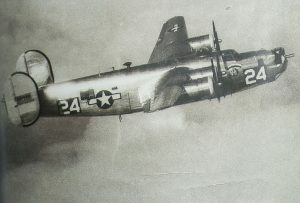 As a result, the B-24 bomber got damaged one engine and hydraulic system. It was also often hit in the wings and hull. After all there was no chance of returning to the base in Italy. 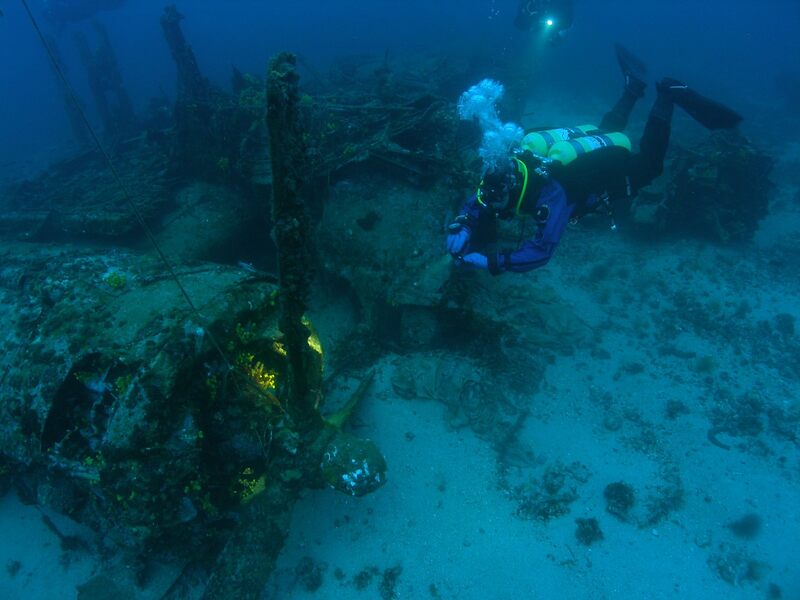 It soon became apparent that the only emergency was landing at the Allied airfield on the island of Vis. 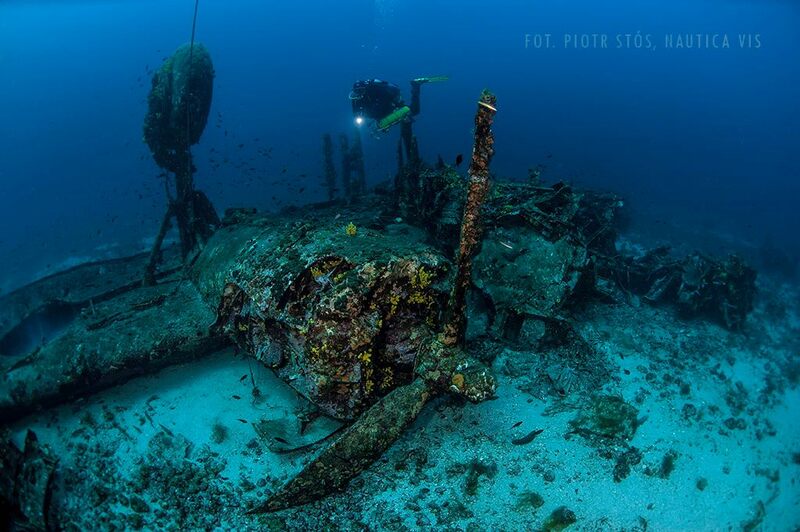 Close to the island of Vis, it turned out that due to damages it was impossible to eject the undercarriage. The flight controller did not allow the landing on the belly, as this could hinder or even prevent the further operation of the airport. The plane went-around of the sea. Finally, it was possible to manually pull out the undercarriage. Meanwhile the rest of the crew gathered in the radio cabin in the middle of the hull, in the safest place during the forced landing. In the middle of the second lap over the sea, when the plane was in a bad position in respect to the wind, the engines suddenly stopped and the plane hit the sea in the next moment. As a result of the crash, the plane collapsed into two parts. 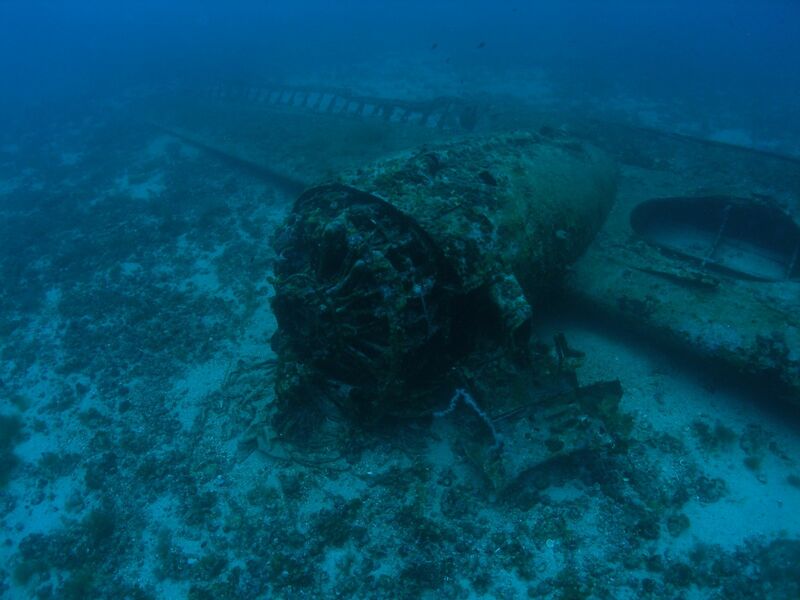 The bow of the plane with its wings was turned upside down and the part of the crew catapulted into the sea. Seven crew members were rescued – the pilot, mechanic and navigator failed to get out of the drowning plane. 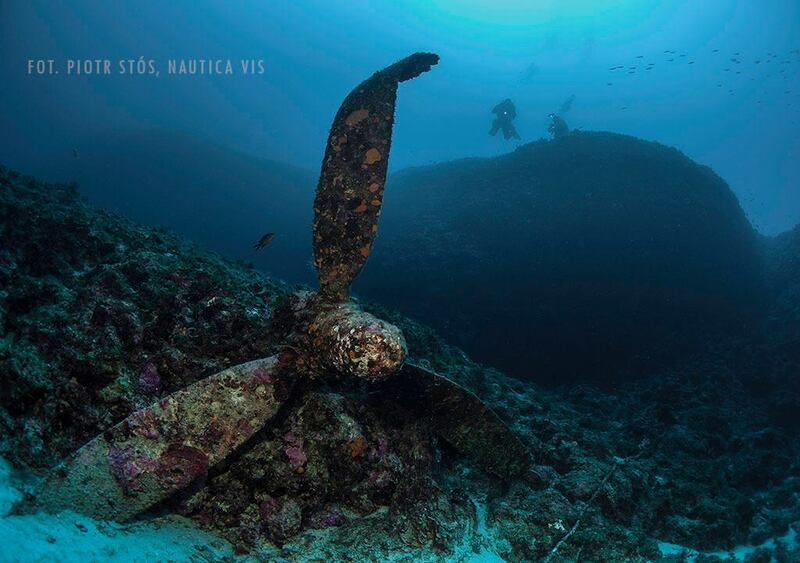 The wreck of B-24 Liberator Tulsamerican lies on the bottom of the Adriatic Sea near the islet of Veli Paržanj, south-east of the island of Vis. 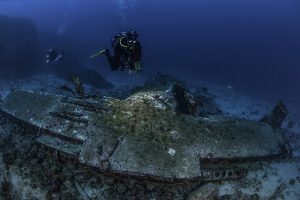 Near the hull there is a concrete block to which the anchor line is led. 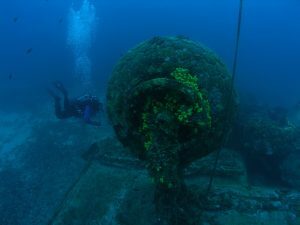 The hull is located at the depth of 40 m. The shallowest part of the lying upside down wreck is wheel from the landing gear at the depth of 37 m.
The no-decompression diving takes place only at the hull and wings with a span of 33 m. Technical divers can also go to the wreckage tail, which lies at the depth of 52 m at a distance of about 100 m from the hull. 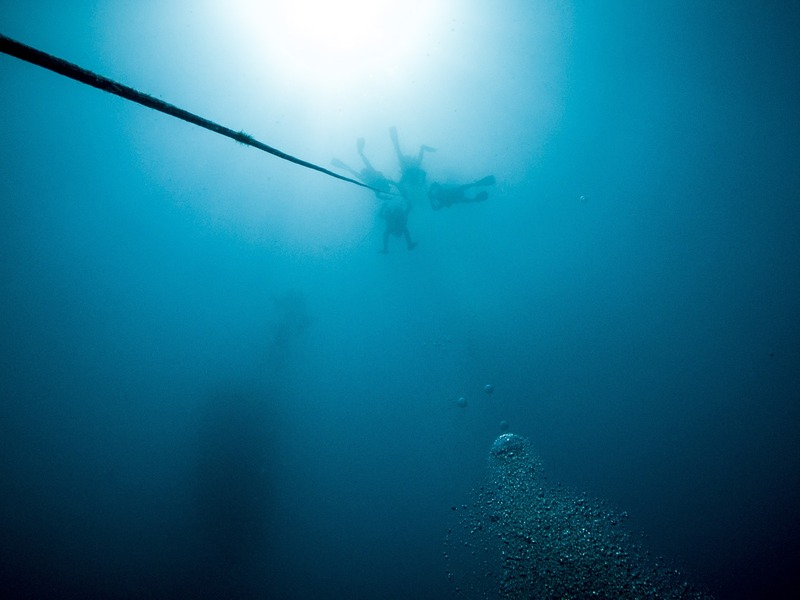 However, exploration of the whole wreckage is possible only in calm water conditions – due to the long distance from the land, there are often strong currents. 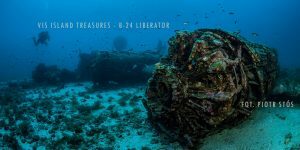 What is interesting, the divers came across B-24 Liberator Tulsamerican for the first time in late 2009, and in 2017 archaeological studies were organized to confirm the presence and identification of victims.